Monday to Friday between 9:00am and 5:00pm. Please call ahead to schedule an appointment. We provide professional property marketing and management services throughout the Lower Mainland. Protecting landlords and tenants for over 25 years!! 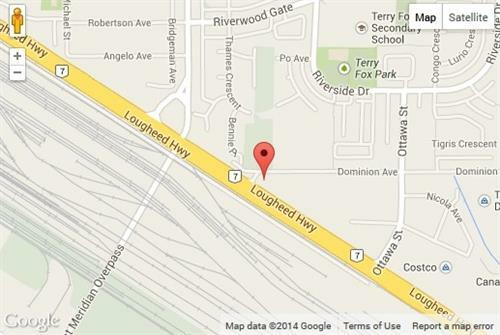 We are located above the car wash on the corner of Lougheed Hwy and Dominion Avenue. To access our 2nd floor offices, please come around to the door at the back of the building and buzz us.